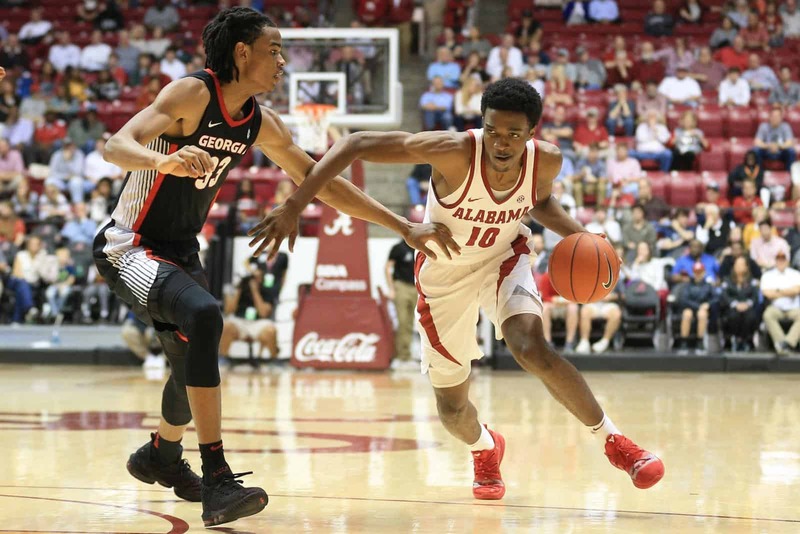 TUSCALOOSA, Ala. – Still searching for its first conference road win, the Georgia men’s basketball team lost to the Alabama Crimson Tide, 89-74, Wednesday evening at Coleman Coliseum. A three-point halftime margin turned into a double-digit Alabama victory due to a Georgia shooting dry spell (5-of-19) in the first 10 minutes of the second half. During that stretch, Alabama (14-8, 5-4) extended its lead to 16 points at 67-51 with 10:04 left. The closest the Bulldogs (10-12, 1-8) narrowed it thereafter was 10 points with under a minute to go. Senior forward Derek Ogbeide led the Bulldog attack with 17 points, while Rayshaun Hammonds (13), Nicolas Claxton (12), and Teshaun Hightower (11) also reached double digits. Claxton, the SEC’s top rebounder, corralled team-high nine boards to stay about in line with his 9.3 per game average. Ogbeide and Hammonds each grabbed five rebounds apiece en route to help Georgia take the rebound battle 38-37. 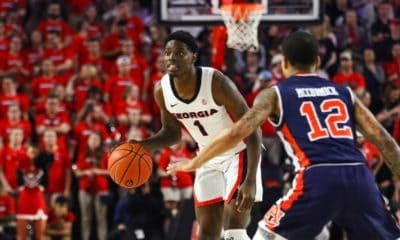 Ogbeide had a hand in seven of the first eight Georgia scoring possession, which prompted an Alabama timeout as the Bulldogs grabbed an early 15-7 lead. In the sequence, Ogbeide had eight points, two assists for five points, and a block. The Crimson Tide answered after the timeout with 10-straight points causing a Georgia timeout. Following the break, senior guard Christian Harrison found senior forward Mike Edwards under the hoop for a two-handed slam and a 17-all tie. The rest of the first half featured six ties and six lead changes until the buzzer sounded with a 41-38 Alabama lead. 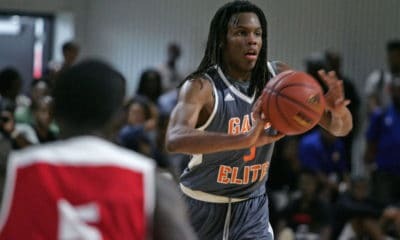 Ogbeide led Georgia’s scoring with 11 points, Hammonds chipped in nine, and Claxton had seven rebounds. Kira Lewis Jr. and Tevin Mack led the Crimson Tide scoring with 12 and 11, respectively. Just like the first frame, Ogbeide got it going with the second half’s first points, but a following 12-2 Alabama run gave the Crimson Tide the game’s first double-digit margin at 53-42. After a timeout, Claxton had a dunk and then assisted a Hightower 3-pointer to bring it back to a six-point difference. 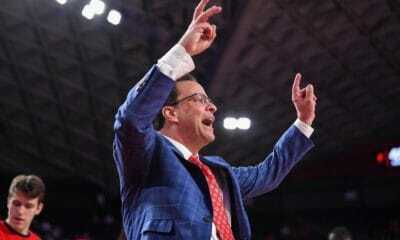 However, the Crimson Tide mirrored that with a trey and basket to reestablish the double-digit advantage. The Bulldogs got it back to 12 points on two different occasions and as low as 10 but were unable to dip back below the double-digit threshold. With most team statistics within reach, the difference was the shooting as Alabama shot 56.9-percent (33-for-58) and Georgia trailed at 40.8-percent (29-for-71). Alabama’s Mack scored a game-high 25 points, while Lewis Jr. followed with 24 points – each converting on 10 field goals. 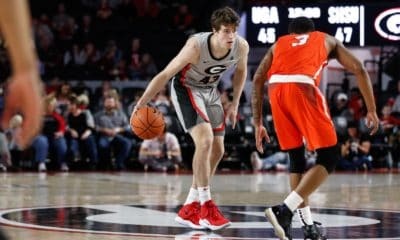 Next for Georgia is a home matchup against Ole Miss to mark the fifth-straight sellout at Stegeman Coliseum and sixth in the last seven home dates. The game is scheduled for Saturday at 1 p.m. ET and will air on SEC Network.